You asked and we listened. 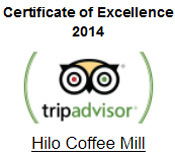 Now available, our Coffee Clubs of Hawaii. Three clubs to choose from starting with the finest Hawaiian coffees and completing the package with our finest flavored coffees. Spoil yourself, a friend, a loved one or a business associate. We'll send 4 pounds of fresh roasted coffee every other month. If you need more, just sign up for two clubs and we'll ship you 8 pounds every other month. Cancellations must be received two weeks prior to the next shipment. Shipments will be sent on the last Thursday of each delivery month. Your first charge will occur when you order and each consecutive charge will occur at the time of the shipment. There is never a handling charge. If this is a gift, please specify a gift message at the time of checkout! 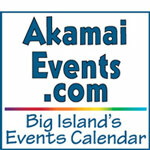 Mahalo (thank you) and enjoy!